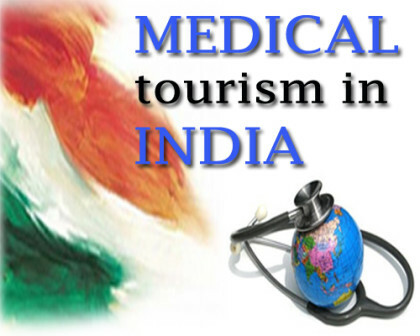 Medical tourism is one of the most profitable things that health industry depends on. India is a hub of expert doctors who are specialized in different fields and thus getting an advice from them is something that patients in India wait for. It is highly likely that they are going to be very famous all over the world as well. This is because India has a huge depth of education in every stream. The medical courses cover all aspects necessary for being a perfect doctor. That helps them communicate well with patients and understand their problems easily. There are some simple things that drive tourists for getting medical tourism in India and have a better chance of getting cured. The various reasons associated with medical tourism are the Indian doctors are famous for treating their patients with the lowest possible exposure to surgical processes or other complicated medical treatments. But the picture of the health industry in India was not so simple a few years ago. There were a lot of problems associated with the treatment processes and there was lack of world-class equipment. Lots of things have changed over the past few years and the health industry is one of those based on a few factors. At present, there is the introduction of many courses related to medical processes. These courses are directly associated with creating advanced medical processes of treatment and development of various equipment. The course of biomedical technology has helped the health sector a lot by introducing a set of students who have enough idea about the development of this equipment. This has practically brought the world to India when Indian doctors start using new equipment while doing surgery that is rarely available around the world. Indian doctors have gained success in different surgery technique that they have performed for the first time to save severely ill patients. The minimum exposure surgery in different organ system is perfectly done by doctors. They have developed easy ways to perform some of the toughest surgeries so that patients have a higher chance of survival. This shows that the best type of surgeries that have a low survival rate at different paces show a promising result in curing the patients. The next thing is the efficiency of Indian doctors who are always connected to their patients. In India, efficient doctors always stay updated about world-class processes that are developed every day. So it becomes easier for them to let the patients recover faster. The most important thing related to this is money crunch. This amount of hospitality and nursing cannot be found in any part of the world at such a low cost. In India, efficient doctors consider this a holy profession and thus they keep no stone unturned to help their patients to the utmost level. This is why international exposure to medical technology in India is getting better every day. Doctors from the country go abroad to share their ideas and experience with other experts to create a bridge of medical advancements that can come to India.